Conifera has been conceived in response to an open brief from COS, with the final structure a result of a parametric design process that has seen the installation evolve with each new technological and material innovation throughout its conception. 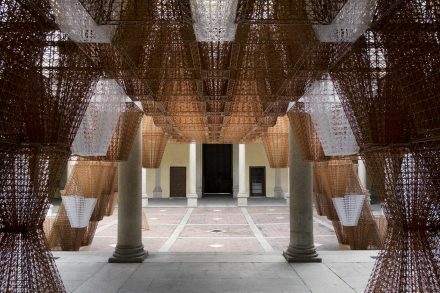 The piece vertically integrates design and construction, forming a direct connection from design to build through a dialogue with robotics: the architect is at once designer and maker. 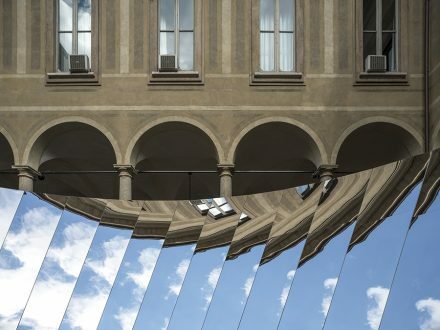 Open Sky is a large-scale sculptural installation by artist Phillip K. Smith III, site-specific to Milan’s Palazzo Isimbardi on view during Salone del Mobile 2018. 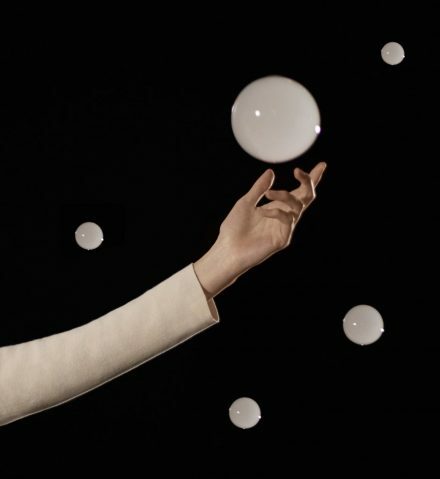 Studio Swine released a teaser movie revealing in advance its plans for a multisensory installation for fashion brand COS during Milan Design week 2017 that involves bubbles, mist and darkness.